A $4.5 million structure on the Baylor School campus that will house the Tennessee Aquarium Freshwater Conservation Institute. The Tennessee Aquarium is venturing to new waters. After years of brainstorming, fundraising and planning, officials from the aquarium will publicly unveil plans today for a $4.5 million structure on the Baylor School campus that will house the Tennessee Aquarium Freshwater Conservation Institute. It's a bold step forward for the aquarium, which has long served a role in organizing freshwater conservation efforts in the Southeast — one of the most biologically diverse areas in the world. Now it will have a facility dedicated to that task, a place aquarium officials believe will vault their work to the national stage and reinforce their assertion that Chattanooga is the conservation capital of the South. 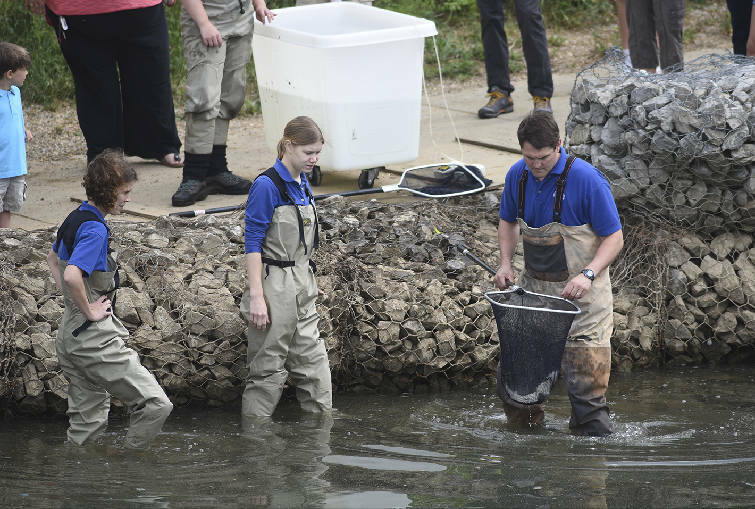 Tennessee Aquarium employees Mary Klinghard, Rachel Powell, and Josh Ennen, from left, release Lake Sturgeons into the Tennessee River on Friday morning. The fish are surgically implanted with sonic tags that allow researchers to track their movements. "We've been putting this together so we can truly take this conservation institute to the next level," Tennessee Aquarium president Charlie Arant told the Times Free Press editorial board last week. "And I mean dramatically improve what we're able to do, how we're able to do it and the kind of leadership and collaboration we are able to provide." Work is expected to begin on the 14,000-square-foot building next month, with a targeted move-in date of next fall. It will be the only facility of its kind in the South, and a multi-pronged advancement designed to facilitate research, educate area students and solidify the aquarium's reputation as a hub for action, in addition to its role as a display center for the region's rich freshwater life. The aquarium will, in turn, serve as a unique platform for the work of the freshwater conservation institute, which has existed in some form since 1996. "If you look at other conservation organizations, they do some great work," Arant said. "But they really don't have a way to showcase what they're doing the way we do with the aquarium." There are various ways for calculating biodiversity, but the Tennessee River is indisputably among the world's leaders in freshwater biodiversity. 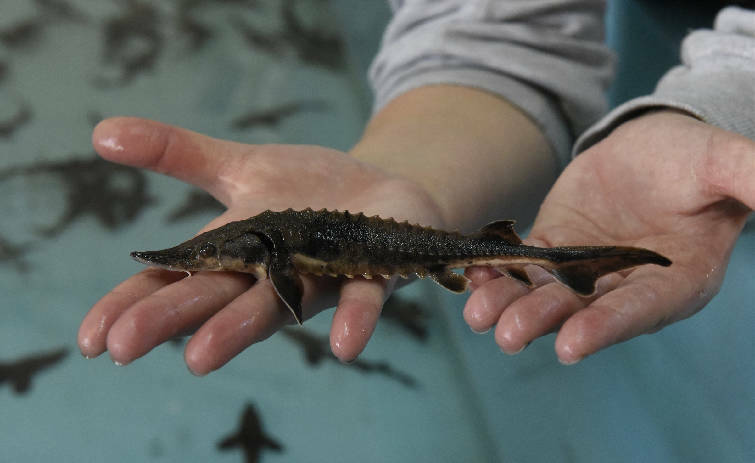 The conservation institute, and its propagation programs for lake sturgeon, brook trout and barrens topminnow, will move to the new facility, which will feature two research labs and a teaching lab for high school and college classes. "It will be what we call a freshwater field station," conservation institute director Anna George said. "It's a place where, not only are the aquarium staff working, but we're able to invite in colleagues from around the country, around the world — college professors on sabbaticals and students who are looking for internship opportunities — to do their research." The building itself will be a teaching tool, too, with a conservation-minded design that will maximize stormwater runoff efficiency. Rainwater from the roof will be gathered in a 6,000-gallon cistern to be reused elsewhere in the building. The conservation-savvy design is being documented for use in educating local developers. Baylor owns the property, which is just south of the school's football stadium, and is leasing it to the aquarium. The aquarium could not have afforded the site without Baylor's generosity, Arant said. But he stressed that the facility will be open to all local schools. From an educational standpoint, the conservation institute will cater mostly to a niche segment of interested students. That's opposed to the Tennessee Aquarium's iconic downtown location, which regularly hosts large K-8 school groups. "We will be able to bring in field trips for very advanced lab training for certain classes," George said. "But it's not meant to be a wide swath across the community as much as really trying to pick the best students from each school and giving them the opportunity to really excel here." Baylor science department chairwoman Dawn Richards said Baylor students are prepared to engage with the conservation institute, but mindful that the specifics of any educational programs are up to the discretion and invitation of leaders at the facility. "I think what's exciting," Richards said, "is that students who are interested in research and science can have that exposure without feeling like it's at a lower level. "The fact that they're willing to share what they're doing is amazing." Aquarium officials said they have raised the $4.5 million for the building but are still raising money for programming. 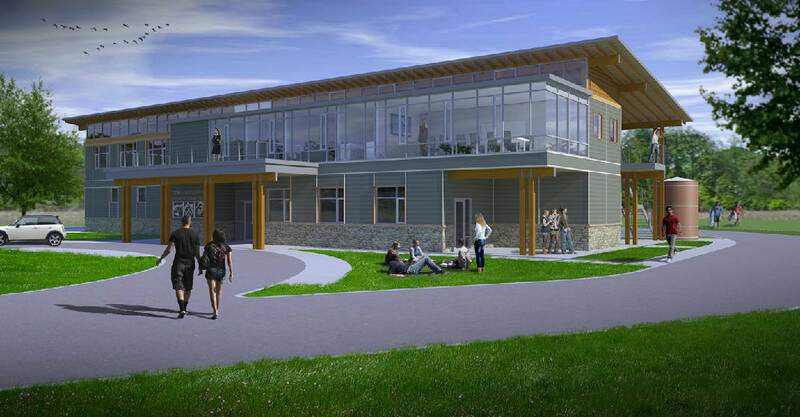 There are expansion opportunities with the facility, but after years of ironing out the details associated with creating a home for the freshwater conservation institute, they are focused on establishing the institute — and then growing it. "I think once we do this, we're going to open the aquarium up to some funding possibilities from a lot of national organizations that we have never been able to approach, because we had a concept and a dream but we really didn't have something you could take and show people," Arant said. The Tennessee Aquarium Conservation Institute began as the Southeast Aquatic Research Institute in 1996 in Cohutta, Ga., as a partnership with the Tennessee Aquarium, the University of Tennessee at Chattanooga and the Tennessee River Gorge Trust. The institute took on its current name in 2009 and moved to Chattanooga in 2011. It is a separate organization from the Tennessee Aquarium but it reports to the aquarium's board of trustees and is under the Tennessee Aquarium Corporation. It will have its own board of advisors but will remain under the governance of the aquarium. "There is no doubt it'll add to the reputation of the aquarium," Hamilton County Mayor Jim Coppinger said. "It's a signal not just to the state and the country but the world that we take conservation in our community very seriously and we will take advantage of the opportunities to educate through that."